UGST – GST Software for your Shop is easy to use Stock and Inventory Management software from Ujudebug to enable you to take as much control as possible over all aspects of the Shop, Stock, Inventory, data analysis, stock management, store management. Update your stock information, make purchases and view sales data from anywhere whether in the office, at home, in the warehouse, or on the go. 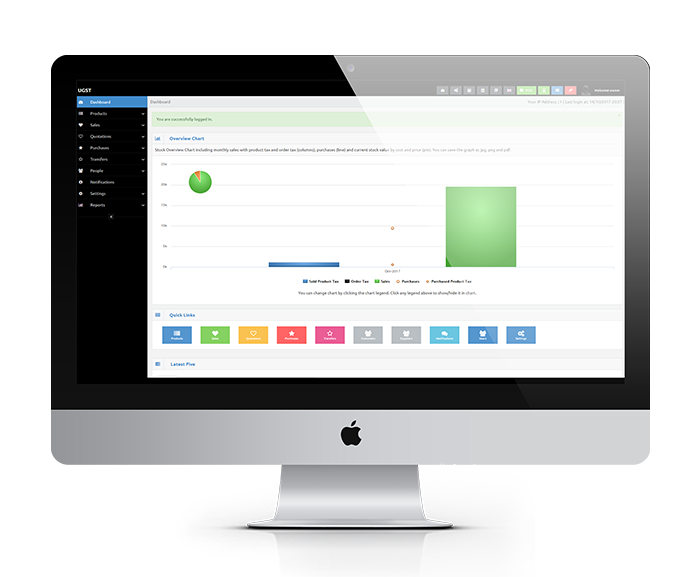 UGST – GST Software for your Shop has built-in Invoice and Inventory System. Invoice System has Tax and Discounts. Tax rates and discounts will help to add taxes and discounts automatically to quotations/invoices and option to generate invoice from quotations. Manage multiple warehouses with UGST – GST Software for your Shop and Advance reports for annual overview chart, stock value chart, Daily and Monthly sales calendar, Custom sale and purchase reports and product alerts. 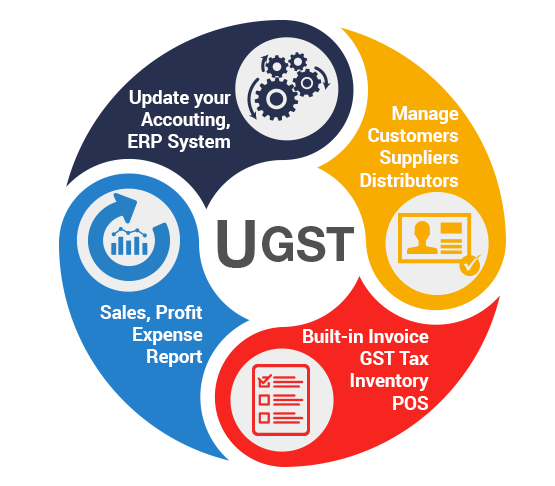 UGST – GST Software for your Shop has many features designed to fit all size of business, Shop, Stock, Inventory, data analysis, stock management, store management. Read more about the features below and try the demo to see how UGST – GST Software for your Shop can help you succeed.